After entering four C3 WRCs at a round for the first time, the Citroën Total Abu Dhabi WRT managed to get its full line-up to the end of Rally de Portugal. As has been the case on all their previous appearances this season, Craig Breen and Scott Martin were the team's highest-placed crew, finishing fifth overall. The competitors kicked off the rally on Thursday evening with the super special stage on the Lousada rallycross circuit. After a night spent in parc ferme, the cars headed north to reach the event's first "proper" gravel stages, contested close to the Spanish border. The gloves were off immediately, with half a dozen drivers involved in an incredibly close scrap for the lead. Kris Meeke and Craig Breen were more than playing their part in the show. For example, the Citroën drivers claimed a joint stage win on SS4, shared with Tänak. At the end of the morning loop, Kris was second, 5/10ths of the pace, whilst Craig was in fourth position, 1.4s behind the leader. Stéphane Lefebvre, however, was no longer among the frontrunners. Due to a misunderstanding over a pace note, the Frenchman rolled on SS3. He managed to continue, but lost seven minutes on the leaders. There were no signs of the fight at the front easing up on Friday afternoon, but the second pass on Ponte de Lima (SS7) proved costly for several competitors. Among them, Kris Meeke was forced to retire for the day after breaking the suspension in hitting a concrete block. On the same stage, Craig Breen had to cope with a broken damper after hitting a rock that had wound up in the middle of the racing line. He only lost around ten seconds, but was unable to take advantage of the tyre strategy he had adopted with this very demanding stage in mind. At the end of the opening day, Craig held fifth place, 12.9 seconds off the lead. On Saturday, further racing incidents resulted in the positions settling down. Unlike day one, when the stages were new for all the competitors, Craig Breen paid for his lack of experience on the roads of northern Portugal. During the morning, he managed to move up a place, but the gap to the leader increased to 46.2s. The final stage of the day, Amarante 2 (SS15), proved to be particularly cruel for the no.8 C3 WRC driver. A mistake on tyre selection during service left him with the wrong compound for the conditions. He lost half a minute on the stage, dropping down a place to fifth overall. On Sunday, the Citroën Total Abu Dhabi crews only had to complete four short stages – including two runs on the legendary Fafe test – to get to the end of the rally. Once again, Craig Breen had to adopt a more cautious approach, reflecting his lack of knowledge of the roads. Managing his pace perfectly, he completed the 349.17km of competitive stages to take fifth place, just as he did in Monte-Carlo, Sweden and at the Tour de Corse. Stéphane Lefebvre made it to the end in thirteenth position. On the final two legs, he had to adjust his set-up and driving style to suit the conditions inherent with his running order. Conversely, Kris Meeke had an ideal road position since he had rejoined under Rally2 rules. Consistently setting times in the top 10, Kris gradually regained his confidence and set the second fastest time on the event's penultimate stage. Kris ended the rally just behind Khalid Al Qassimi. The Abu Dhabi driver was making his first competitive appearance in the Citroën C3 WRC. Throughout the three days, he worked on acquiring new reflexes and adjusting the set-up, in order to make the car as easy as possible to drive. "We came into this rally with relatively modest goals, asking our crews to ensure two cars to finish in the top 5. 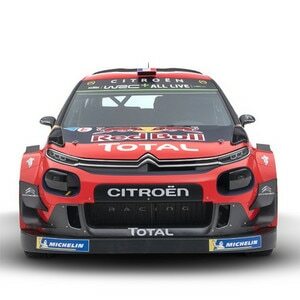 If you look at the final standings for this rally, you have to say in all honesty that we didn't hit our targets," admitted Yves Matton, Citroën Racing Team Principal. "We can nonetheless take away some genuine positives. First and foremost, the performance of Craig Breen. On day one, when the stages were new for everyone, he managed to set some first class times. He was then able to manage his race to make it to the end in fifth place, without making any major mistakes. It seems that the work done in the last couple of test sessions is paying off. We can clearly see the benefits of the work we have put in and that confirms that we're moving in the right direction," continued Yves Matton. "The variety of surfaces faced this weekend helped confirm the priority areas we need to keep focusing on. The data gathered here will guide our approach during the next few test sessions. We should also highlight the reliability of our cars. 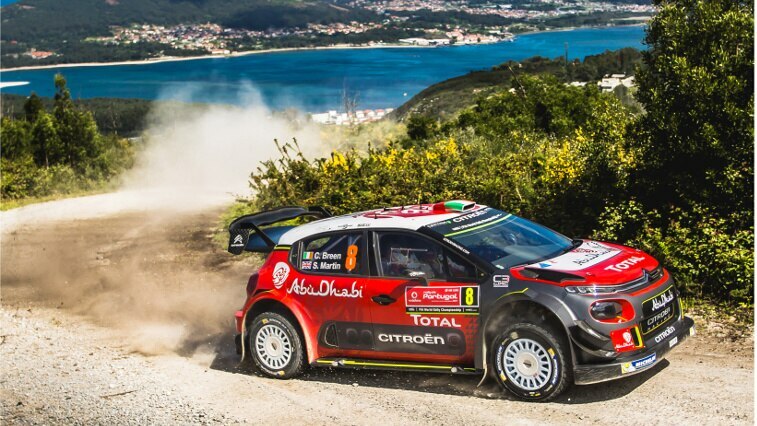 All four of our C3 WRCs made it to the end of what is a very demanding rally, without any significant issues." The 2017 World Rally Championship will pass the halfway stage at Rally Italia Sardegna, held on 8-11 June. No pre-event test is scheduled beforehand, but the Citroën Racing engineers are confident in the potential of the C3 WRC on this rally. "The performances and the satisfaction of the drivers on the opening leg mean that we can head for Sardinia with optimism," concluded Yves Matton.